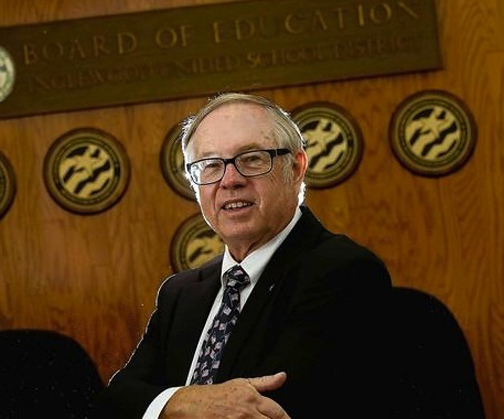 The financially challenged 14,000 student, 18 school Ingle­wood School District is now in the hands of veteran educator and retired superintendent Don Brann, who will be charged with saving it. African American Kent Taylor, who was the administrator in charge of the district resigned in 2012 after the state Department of Education learned of tentative agreements he made with the teachers union without the authority to do so. Taylor’s resignation came just two months after he was appointed by state Supt. of Public Instruction Tom Torlakson to lead the school system — which had been taken over by the state in September when Gov. Jerry Brown approved legislation granting $55 million in emergency loans to the district. The resignation came after the Education Department learned of a proposed collective bargaining offer between the district and the Inglewood Teachers Assn. However, it was deemed that in his position as state administrator, Taylor did not have the authority to enter into a labor contract without prior approval by Torlakson or a designee or before the completion of a financial review and plan to bring the district back to solid fiscal health. In a letter, the department informed the teachers union that the agreement was voided. Union officials said during the time the agreement and a memorandum of understanding were negotiated in good faith they were under the impression that Taylor had the authority to enter into them. Union officials had asked Taylor several times if he did in fact have the power to make collective bargaining deals. He assured the union that he did, Somberg said. When Taylor was appointed, Peter Somberg, president of the Inglewood Teachers Assn., stated, there was no indication from Torlakson or other state officials indicating that Taylor did not have that power. “There was nothing ever mentioned that he didn’t have authority to negotiate with us,” Somberg said. The union maintains that an agreement reached by Taylor, is legitimate. Now, months without a permanent Inglewood School District state administrator, Brann, 67, has been selected by Torlakson to fill the position. He was appointed to the post June 28 and began working on July 1. While Brann, who graduated from USC’s Marshall School of Business, has an abundance of experience having served as superintendent for three school districts—Wiseburn, Wilsona and San Gabriel Unified, it remains to be seen if he is the right choice to solve the crisis that plagues Inglewood. Brann is credited with turning around the Wiseburn School District in Hawthorne. He increased the declining enrollment and was instrumental in securing a bond measure approval to rebuild schools. Subsequently the students test scores improved. The El Segundo resident may find the minority dominated Inglewood School District to be his most difficult challenge. The district has depleted its reserves, and almost half of the emergency funds and is operating at a $17.7-million deficit. Budget wounds were opened more by the loss of funding for students who left the district for other schools. Brann himself was guilty of luring away students from the floundering Inglewood school district, but now is responsible for keeping them. The agenda meeting scheduled for July 17 for the district has been canceled according to its website, presumably so that Brann may begin focusing on leading the district from the hole. The district, which was taken over by the state in October 2012 due to the serious financial shortcomings, and loaned $55 million by the state, is again in trouble. According to reports, at least half the $55 million has already been spent this past school year. Brann has been instrumental in influencing other communities to work together in a partnership with businesses and other organizations. In Inglewood, among the multiple concerns is the state board penchant for shrinking the number of Blacks in prominent positions and involving minority business in bidding for projects that empower and sustain the local community. Because of all of the turmoil and mistakes by the state which preceded Brann, the district students, parents, educators and community leaders are pessimistic, and carefully watching to see what happens.